There’s a big hype about video content these days. Sometimes it is so much more convenient to just watch a video than read an article, right? With nowadays technology users can watch videos anywhere at any time, so no wonder more and more brands are using videos as a new marketing tool or vehicle to get to their customers. But then there are also the so called “digital influencers” who have hundreds of thousands or even millions of YouTube subscribers. These are regular people like you and me which make a living out of video content creation. If you are after that lifestyle as well, read on and find out how you can get started as an YouTuber right now. I know this might sound cliché, but it so very true. Even though being a YouTuber seems like a ton of fun (which it is), it also takes many, many hours of preparing your video script, setting up the camera, adjusting the lighting, filming, editing your video and promoting you content. In order to be consistent with that amount of work you must really like doing it. So, don’t just do it for the money or the fame like most beginners tend to. None of that will happen anytime soon. Getting just a little bit of traction will take many months of hard work and once you get that momentum, guess what? You will need to continue to put more and more work to keep the channel going. So this is by far the most important thing you need to keep in mind – you need to be passionate about the topic you are covering and you should enjoying making those videos. Unless you are planning on starting a YouTube channel where you just make videos out of your screen recordings, like those video game reviews channels (which is a totally legit idea), you are going to need a camera. If you are just starting out I wouldn’t stress that much about it. Just use whatever camera you have. So definitely don’t invest too much money into that right away. Focus on creating content instead, get used to it and see if it grows on you. Once you know for sure you want to put more effort into YouTube, maybe then consider getting a better camera. So, with that being said you can start off by using your smartphone camera – most of the high end models have great cameras which will do the job. 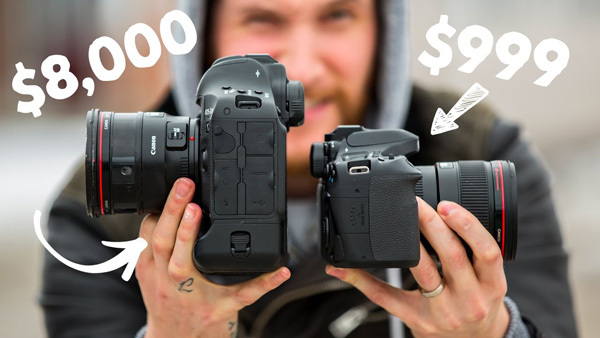 Later on you can spend money on cameras such as the Canon G7X – which is great if you are vlogging a lot because it’s light weight and takes awesome shots. If you really want to step up the video quality of your channel you should consider getting a DSL and a couple of different lenses, depending on what type of shoots you plan on doing. The quality of your video will be greatly affected by the lighting. Most entry level cameras (including the smartphone cameras) have little sensors which do not perform that well in poor lighting. So, if you are filming indoor definitely pick a brighter place. A simple fix to indoor filming with no additional lights is to stand in front of a big window. Having a lot natural light will make videos look better. If your place doesn’t have that much natural light coming in, you will probably have to invest in some studio lights though. You can get some entry levels studio lights for as little as $50, or if you are on a really tight budget you can get an smaller LED light which attaches to your camera. Most video editing software will allow you to adjust the brightness and colors of your footage quite a bit, but if the quality of the raw video is poor, you will end up with a mediocre outcome. If you are filming outdoors you can greatly improve the way your videos will look by filming at the right time of the day. So, instead of shooting at mid-day which you might think it’s the right thing to do, shoot either early in the morning or just before the sun sets down. The way the natural light looks on camera when the sun is not that high up in the sky but more towards the horizon line, will make the videos look better. The shadows look great and you will end up with an epic shoot. If you think you are done after you’ve done shooting you are terribly wrong. Editing your videos can take a tremendous amount of your time, especially when you are just starting out and don’t really know how to use the editing software, which button does what, what rendering settings work best for YouTube and so on and so forth. That’s why I always recommend to start with really, really basic software. Heck, you can even use YouTube’s video editing feature. iMovie is another great editing tool for beginners. Once you want to start adding in more stuff like better looking and smoother transitions, better color correction, maybe some effects, you may want to look at professional video editing software such as Adobe Premiere or Final Cut Pro. The back-end on these ones will look a bit more complicated and more technical, but once you get the grasp of it, the overall look of your videos will definitely improve. If your channel gets big enough and you make enough money from it, you can outsource this part to a freelancer or to a company which provides video editing services. But the chances of getting to that level anytime soon are pretty small, so you’d better get used to it for now. Chris Rogers is a great example on how you can take good footage and transform it into awesome edited videos. Check out his channel for a few examples. There’s only one version of you so by being yourself you will be as original as you can be. You have a backstory, you have passions, you have personal opinions that shape you as an individual. Why not share that with your audience. Yes, YouTube is about adding value, but it’s also about relating with other people. So if you can do both – if you can add value, put out great content while being a real person which other people can relate to you are on your way to becoming a great YouTuber. So if you are not sharing your personality on camera, you are pretty much missing half of the point of YouTube. Let me just give you an example of what I am talking about. 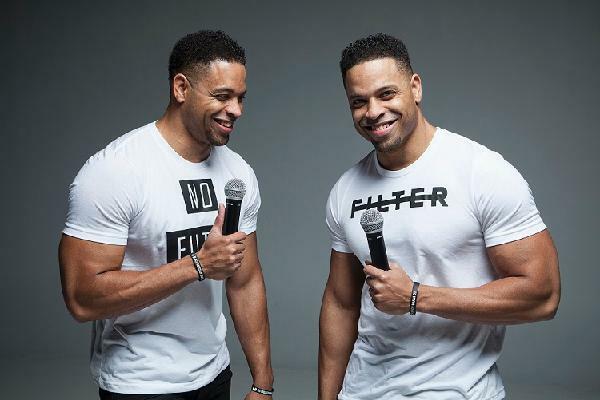 The Hodge Twins initially started their YouTube as channel which provides fitness and nutrition tips, but these guys actually stood up from the whole fitness crowd because of their outrageous sense of humor. There’s no surprise that years later they actually became comedians and know they are doing stand-up comedy gigs all around USA. I know this might sound really stupid at first, but it is super important. Like I mentioned above it will help a lot of you would show off your personality to your audience. But before you do that you need to get to know yourself. Share that backstory of yours, think about what inspires you, what gets you going, what do you love. And you need to get really specific with the answers of all these questions. Ideally you want to have written down something about yourself, something that describes you in a nutshell. I know that you personality can’t be written down on a piece of paper, but you get the point. You will probably end up with a handful of bullet point on that piece of paper. Ideally you want to pick just one which really stands out and defines you the most. Something that is recurring in your life, something that pops up often – and show off that on YouTube. Maybe you have a thing about becoming more productive or about eating clean or whatever. Just have that organically pop up in your videos. Lastly but not least, the last piece of advice for a new YouTuber is to be prepared for haters. Bad comments or negativity is something that you will eventually encounter once you get a few hundreds followers. No matter how good your content is, no matter how well researched and well-presented it is, there’s always going to be people trolling you in the comments. So you have to mentally prepare yourself for this, and expect that is going to happen. Just forget about the haters, keep doing what you are doing. I like to think of the haters as my motivators and so should you. At the end of the day it doesn’t really matter what other people think. Just be you. You are on YouTube because you want to share your message and you want to express your creativity. So stick to that and just shut down everything else. 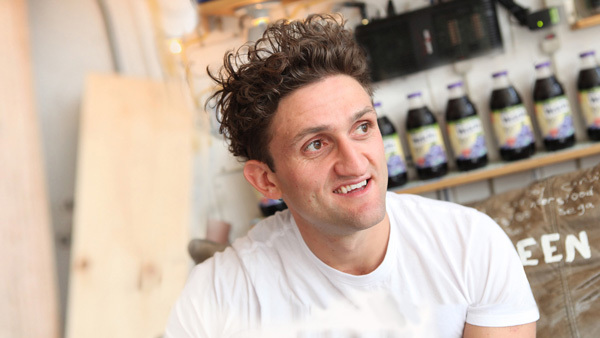 Casey Neistat received a ton of negativity when he first started putting out videos simply because of the way he looked and check out the guy now. He’s a tier 1 YouTube. I bet that developing a thick skin and having to deal with all the Internet trolls was not something easy, but was it worth it? You’re got damn right it was. There’s no secret or quick way of getting your channel to grow. The only way of getting subscribers is to be consistent with the content you are putting out. Uploading frequently enough is probably the smartest thing you can do. I mean, have you looked at some of the biggest channels out there? They have hundreds of videos and a regular posting schedule. So having something like a posting schedule which you stick to will help. Set something realistic for yourself and stick to that. Maybe you can post a new video each and every day, great go ahead and do that. Maybe you can just post twice a week or once a month – great. Just stick to your posting schedule, whatever it is. Also make sure the content you are putting out is genuine and that the quality is there. Poor content will put everyone off and you will get nowhere. Another thing to consider is the length of your videos. Apparently, YouTube tends to rank higher or promote more the videos which are longer and have a higher viewer engagement. So, instead of covering a topic briefly in a 2 minute video, you may want to do a 10 or 15 minute in-depth video. Also try to connect with the viewers and get them involved. Ask them to comment, share and subscribe. Make the very beginning of your video catch, grab their attention and tell them to stay until the end of the video where you share something really interesting with them. Figure a way to increase the engagement of your audience. Getting your name out is not easy. You may be uploading a ton of quality content, you may be consistent with it, but there are other things you can do than just wait for the YouTube ranking algorithm to make you a star. Once of the most effective ways to promote your channel is by reaching out to other YouTubers and ask them to feature your channel or to do a collab. Now, don’t shout out to PewDiePie – I’ve tried it and it didn’t worked. What you want to do instead, is to search for other channels that are in the same niche/topic as you and have roughly the same amount of subscribers as you do. These will be very likely to accept doing a collab because the benefit will be mutual. The cool thing about this is that you don’t actually need to actually live in the same city or state with the person you are doing the collab with.You can just swap videos and post them on each other’s channel, you can record your Skype call, or if you want to get really creative with it you can record one of those green screen videos and then have it all edited like you are both in the same place, even though you might be living on the other side of the planet. 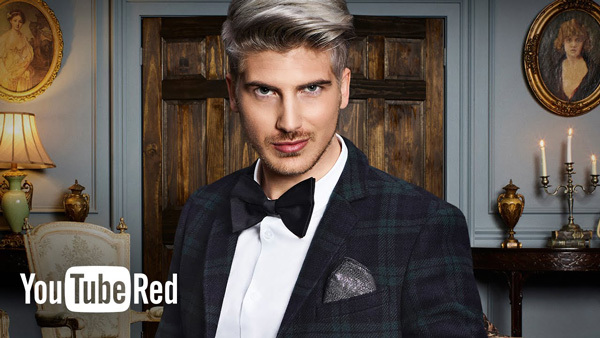 Joey Graceffa is a guy who grew his YouTube channel tremendously simply by doing a ton of collab and interviews with other YouTubers or even social media influenced that were not into YouTube at the moment. So that is definitely something that works. Lastly but not least, once you’ve been on YouTube long enough take some time and do an in-depth assessment of your analytics reports. You don’t learn just from experience, but from evaluated experience. So look at the back-end of your YouTube channel and see what type of videos perform better and do more of these. Look at the user engagement metrics and see what you need to improve on. YouTube Analytics provides a ton of information which you can put to use if you get to study it. I definitely recommend checking that out every now and then. Don’t become too obsessed with it though. Your main concern should be high quality content creation which is useful for the viewer. So there you guys have it, 8 tips to help you get the ball rolling as an YouTuber. Make sure keep these in mind and apply as many as you can. Look at this list more as a guideline rather than a strict set of rules and just start working on those videos. Cristian is a freelance video editor and founder of Veedyou.com – an online startup offering video editing services to customers in pretty much any niche you can think of. When he’s not busy in post-production he likes to shoot GoPro videos in the Carpathians.